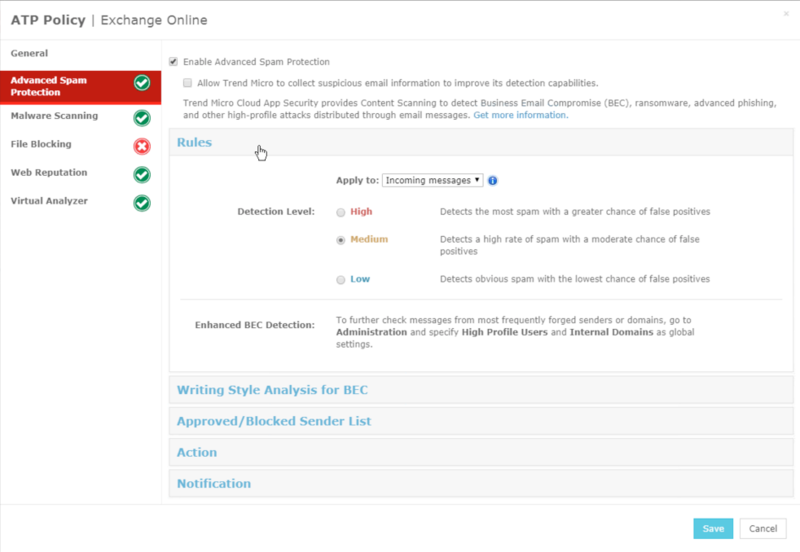 Can I receive KnowBe4 emails while using Trend Micro? 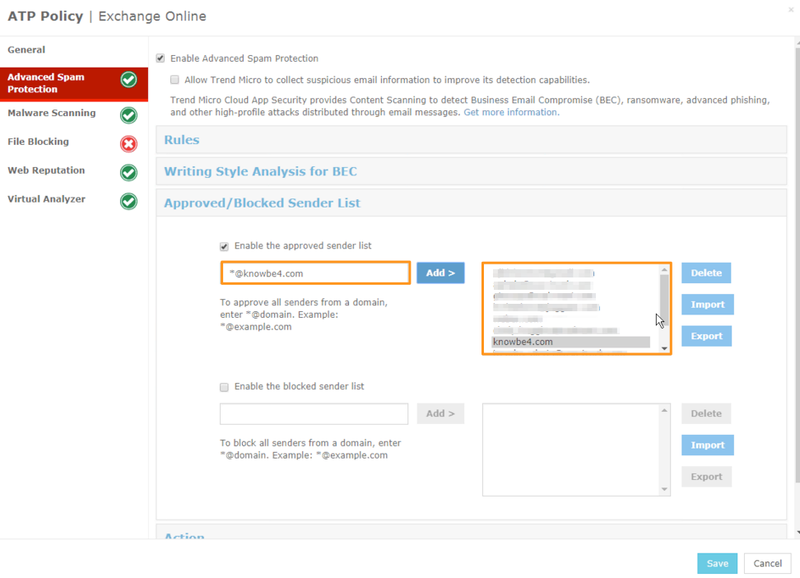 If you're utilizing Trend Micro's services, you can whitelist KnowBe4 to allow our simulated phishing test emails and training notifications through to your end users. Each section has its own steps for configuration and must be completed to successfully whitelist KnowBe4. All steps for configuration can be found below. If you run into issues whitelisting KnowBe4 in your Trend Micro services, we recommend reaching out to Trend Micro for specific instructions. You can also contact our Support team whenever you need assistance. Navigate to the Advanced Threat Protection tab > Add. On the left, select Advanced Spam Protection. 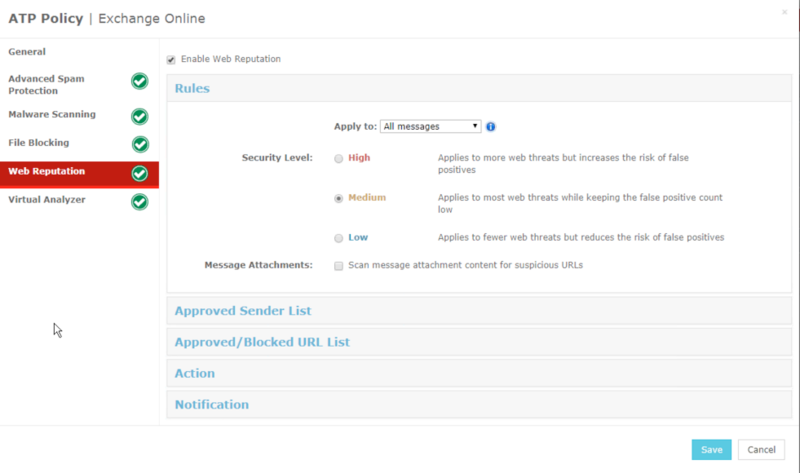 Check the Enable Advanced Spam Protection option. 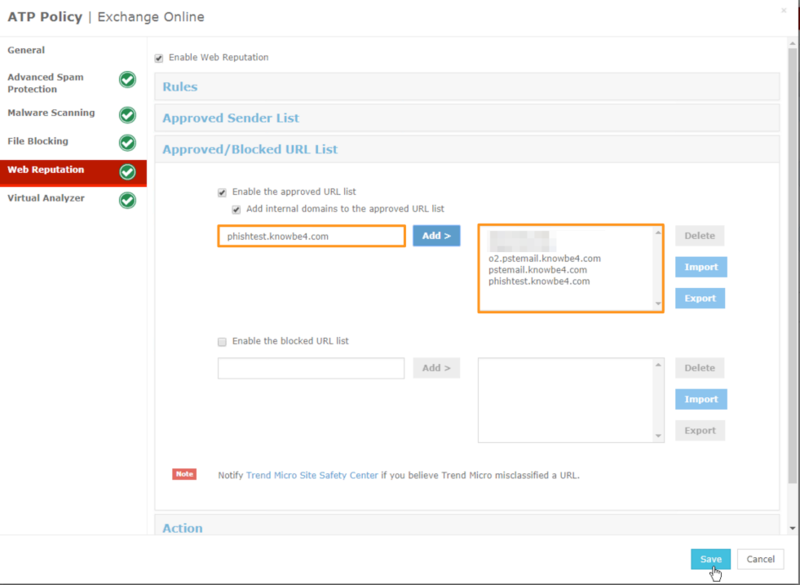 Select the Approved/Blocked Sender List section. Check the box next to the Enable the approved sender list option. Enter *knowbe4.com in the text field and click the Add > button. 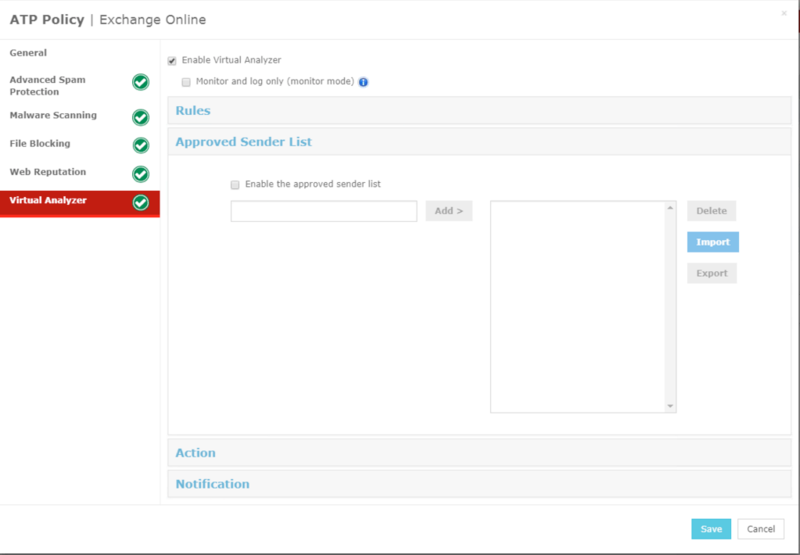 Select the Rules configuration section. Under the Apply to: drop-down, select the Incoming messages option. For Detection Level:, select the Medium option. On the left, select Malware Scanning. Under the Apply to: drop-down, select the All messages option. Under Malware Scanning, select Scan all files and check the box next to Scan message body and Enable IntelliTrap. Select the Action configuration section. 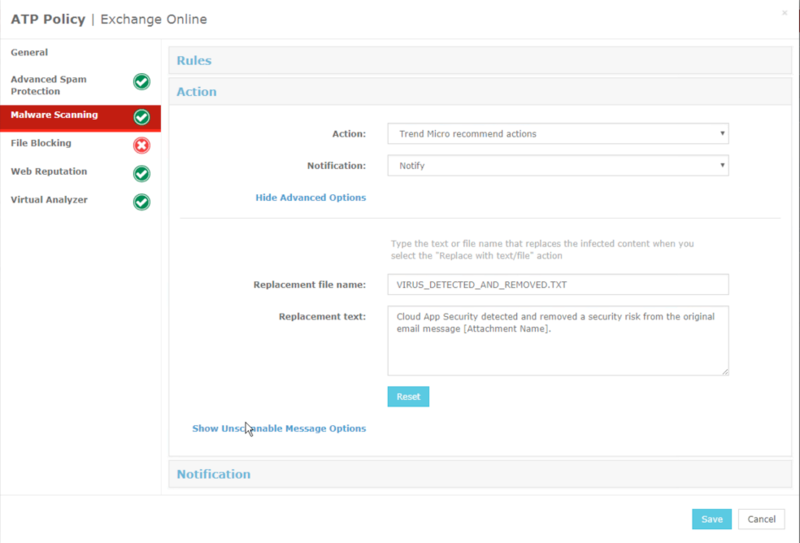 For Action:, select the Trend Micro recommend actions option from the drop-down. For Notification:, select the Notify option from the drop-down. On the left, select File Blocking. 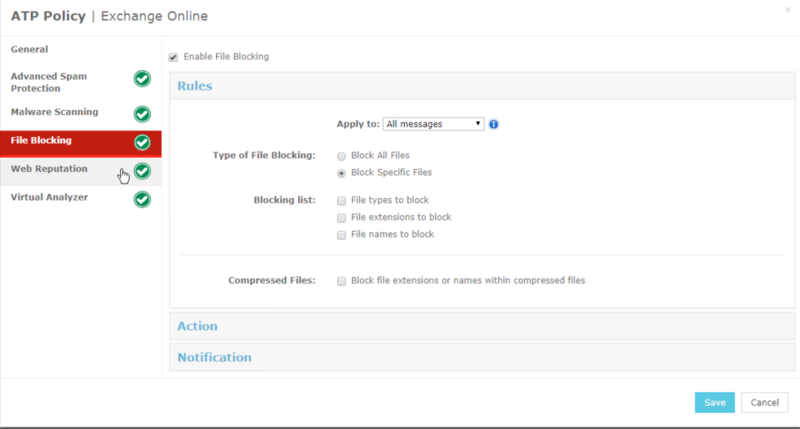 We recommend keeping File Blocking on because you cannot limit this option to KnowBe4 messages. Turning off File Blocking could allow potentially malicious attachments through to your end users. On the left, select Web Reputation. Check the Enable Web Reputation option. For Security Level:, select the Medium option. Select the Approved/Blocked URL List section. Check the box next to the Enable the approved URL list option. Check the box next to the Add internal domains to the approved URL list option. Then, click the Add > button. You can click the Import button to import URLs in batches. On the left, select Virtual Analyzer. Check the Enable Virtual Analyzer option. Once all steps in each section are completed, your new policy will appear under the Advanced Threat Protection tab.